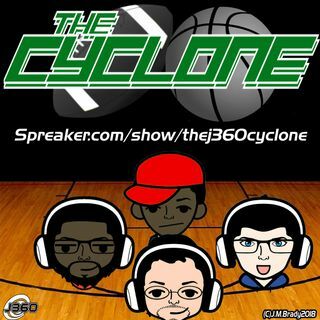 On this special extended Cyclone episode, the Cyclone Crew looks into the Boston/Cleveland Trade regarding Kyrie Irving and Isaiah Thomas wondering where it will lead in October? Dev has a theory regarding the first round draft NFL Draft picks if they're doomed to fail in the NFL if they come from a highly privileged college system? and finally they look into redeeming a new quarterback's grade from bust to prospect as they describe Preseason stats. Plenty to discuss in this ... Maggiori informazioni episode and that's why we're running near 50 minutes this week.